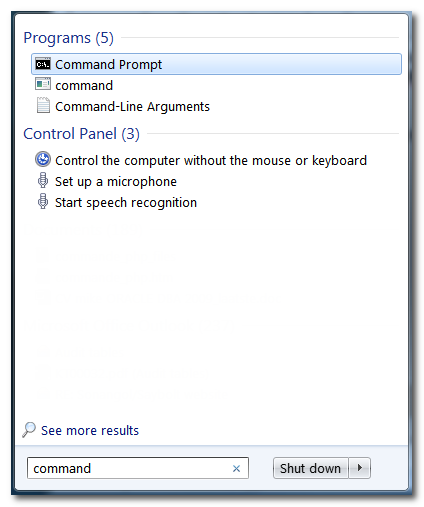 Type in command in the start menu, when the Command Prompt shows up, right click and select Run as Administrator. After a warning message (if UAC is turned on), the command line is shown. Before we kill something, we need to know what we would like to kill :). This can be done by issuing a tasklist command. 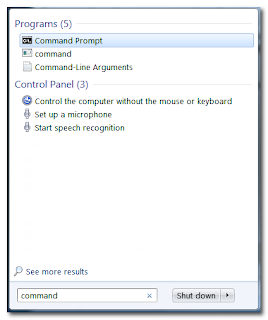 The tasklist command will show all the running tasks (similar to task manager). This list can be quite long depending on your system. You can quickly filter by issuing the /M switch, eg. taskkill /IM note* /FI "windowtitle eq untitle*"
will kill every task name starting with note (eg notepad) and where the title starts with untitle, with other word kill all instances of empty notepad.